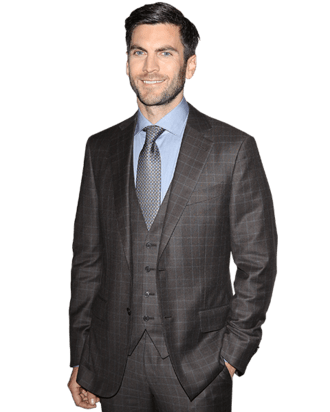 Wes Bentley, star of American Beauty and The Hunger Games, is suddenly everywhere. Over the weekend, he appeared in two new movies: Christopher Nolan’s Interstellar and A.J. Edwards’s The Better Angels, an ethereal, black-and-white drama that explores Abraham Lincoln’s childhood. In the latter, Bentley plays a soft-spoken school teacher who enters our future 16th president’s life and nudges him towards greatness. It’s a role in stark contrast to another appearance playing concurrently on the small screen: American Horror Story: Freak Show’s Edward Mordrake. Seriously, Bentley is everywhere. Vulture sat down with the actor to touch on each of his spinning plates, plus the everlasting effect of The Hunger Games and an unlikely fandom surrounding Ghost Rider. The Better Angels director A.J. Edwards is a close collaborator of Terrence Malick, a filmmaker known for shooting ideas on the fly and finding the story as he goes. But this film has a historical/research element, delving into Lincoln’s early life. How did Edwards balance that? There was an excellent script that was written and researched that A.J. had done. There isn’t much information about this period in Lincoln’s life. People didn’t write about it. In retrospect, after Lincoln’s death, journalists tried to recover the story from people who might have been there. So it was more of capturing the environment, the conditions, the region, and the ideological circumstances of what was going on in the frontier time-period, what Lincoln’s life would be like, using many sources from the time period. Nature was such a strong part of that that the filmmaking grasps onto that. The movie is all about Lincoln growing up and leaving his family’s farm to go off and become the presidential man we know. Your teacher character encourages him. Do you relate to that as someone who grew up in Arkansas and wound up at Juilliard? In many ways. Yes, [life] was about survival on the frontier and living a hard life. Parenting was more about teaching your kid to stay alive than the loving sense that we know now. This was during the Second Awakening, so there was a ideological and political change happening in the country that had an emphasis on education. All education was private at the time. You had to reach out and find these children who need the education. Then you stumble upon this kid who is special, [my character] can see he’s special, and wants to lead him to a different path. My parents are both Methodist preachers. That “Second Awakening” came from those denominations and a different kind of thinking when applied to your life. I was able to understand that historically. But also from being from a southern region and finding my way out. People dream of being famous in the South. Having an outlet for creativity is a different thing. It’s difficult to find there. I was lucky to have great parents who loved me and supported me in being creative. Did The Better Angels come before, after, or during your time on Malick’s next film, Knight of Cups? I was actually shooting Knight of Cups first with Terry. Nick Gonda, the producer, and they stopped me in the middle of shooting one day and asked me if I’d be part of this film. They had a filmmaker, and they wanted me to be a part of it. So I got to speak with A.J., and it was great. Terry creates a family of very smart people, and I’m so happy that he considers me to be part of that. Was Malick heavily involved with The Better Angels? A.J. learned a lot from Terry from editing his films and in conversation and in living a life with him, in a sense. But as far as the filmmaking went, it was all A.J. Terry was there in the corner. To use a boxing metaphor, he was the cornerman, really supportive of A.J. All of the filmmaking was A.J.’s idea. I don’t think Terry could believe A.J. was going to go with black and white. You’re filming in actual woods, in a spartan way where the camera can turn in any direction and not pick up crew. Was it just you and a camera guy at times? It was a very small crew. You hardly had anyone there whom you had to shut out from your viewpoint. Being in as remote a location as we could, there was nowhere to go sit and get away from it all. You were in it all day. It’s special as an actor to get to do that. Especially these actors. It’s what we love to do. Capturing that same feeling seems difficult on a movie like Interstellar, where you’re on a fake spaceship in the middle of a soundstage. Chris is great at that, too. He can do that because he believes in the practical and substance. He made everything as practical as possible. What you saw, we were living in. What was it like working with TARS the robot? He was controlled by Bill Irwin, as well as voiced by him. He was hydraulics. He was there with us [laughs]. The IMDb plot description for Knight of Cups is “A man, temptations, celebrity, and excess.” Which one of those do you play? Right. [Laughs.] I can’t talk too much about it, mostly because I don’t know what the story has been cut into. You know Terry — we shoot things but the story always changes. Like a poet, he’s always rewriting. I’m not sure how it all fits together. I wouldn’t want to say. Was The Better Angels the same way? Were your impressions during the shoot drastically different then the end product? No, it was a little more clear. It was traditional. I knew who I was to our main character. It was different in that sense. I knew the dialogue was important and [that] the story changed. I had a strong sense it would be in the film. Your episodes of American Horror Story: Freak Show are now airing. Why’d you make the jump to television for this show? This is the first time I’ve done something for TV. It’s one of the most creative shows in TV history. They’re excellent with writing and production value […] Ryan [Murphy] and I knew each other, and he reached out to me and asked me if I would like to be part of the show. Of course I wanted to be part of the show. I didn’t know specifically what he meant yet. I don’t know if he knew if I could do a British accent until a week before I got there. When he asked me, I didn’t question what it would be. Did you know how to do a British accent? I had a version of one. Before the show, we had a great dialect coach and we worked on a very specific time and region that Edward was from. It’s a turn-of-the-century Edwardian London English accent. Edward has quite a bit of hair. What was involved putting that together? They make it quite easy! It’s a great hair-and-makeup department. Walking around with mutton chops is always a challenge. The rest of it is easy to live in. It’s not complicated at all. Speaking of hair, despite not being involved with the sequels, is The Hunger Games still part of your life? Absolutely. Even fans of the books and series think I’m still alive. They have theories. It’s like, “Did you watch the first one?” I get asked about it just about every day. I’d imagine there are people of a certain age who recognize you from American Beauty first. Especially if I’m shaved. For awhile, people yelled at me about American Beauty; now it’s equal. I’m lucky to have been in culturally identifiable films. How many people yell at you about Ghost Rider? You know, I get a lot of that when I’m not in the country. It throws me off a little bit.